I’ve been a mom now for 12 years. Some women would say, “that’s it!” Yet there are others that would say, “Wow! That’s a long time!” That how I feel. At times, it is hard to believe that I’ve been a mother this long. It is such a blessing. Every year, I try to think about how I can help a new mother or a mother that has been mothering for less time than I have. I have learned some lessons, both easy and hard. This year, I am deciding to write a series of letters to the new mother. 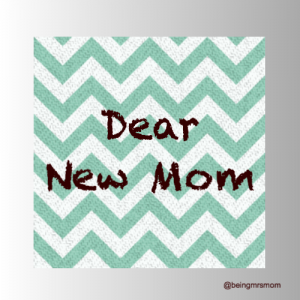 By new, I mean a mom that has been mothering for 5 years or less. This mom could also be a mom that recently had a baby and feels like she is starting over again. I say that, but I think that this can benefit any mom. I am still being encouraged by my past and current revelations. I want another mom to know that its perfectly fine to make mistakes…you can’t learn if you don’t. Yes, you may have been punctual and consistent before and now you’re not. Give yourself some room to breath. God knows what life is like for you and He doesn’t hold any of your slip ups against you. Yet, at times I’m frustrated with the folding and put away that I’m left with.